- Who is Jake Lowe, and why should you go running with him? Now I would love to tell you that my running journey began many years ago when I was the National Junior Champion at the age of 8, but it didn’t and I wasn’t. 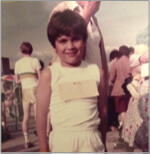 My journey began the moment a chief executive of a local charity (a Personal Training client of mine) offered me a place in the 2008 London Marathon. An offer I was to later discover would change my life forever. At the time I couldn’t even tell you how far a marathon was within 10 miles. Initially I thought she was crazy, but then running a marathon?? That’s a bucket list entry right there. Certainly up there with bungie jumping over the Grand Canyon and deep sea diving with sharks (and at the time of writing, neither of which I have ‘ticked off’). I accepted the challenge. I’m currently focused on dipping under 3 hours in the 2019 Manchester Marathon, 11 years from when I first began, and I want to use my experience to help you. I want to help you to improve your life. I want to help you to be happier, healthier, and to feel better about who you are. I’m just going to use running to do it. I believe that running is the greatest drug on the planet. It’s like hitting the big fat reset button every time you lace-up after a bad day. It makes you feel good, stress less and live longer. I also believe that runners of all levels are typically driven individuals who want to improve – We want to run further, run faster, find it easier, and we want to avoid looking like we’ve just crawled out of a cave on those race photos. Now running is a very simple activity. You will have done it at some point in your life. Even if that was only as a child. But running is a skill, and the more you learn the more you increase this skill, and ultimately your enjoyment! Whether you have started your running journey or not, let me take the map and guide you through the chaos and confusion as we learn from my own experiences. We’ll take the scenic route and together we can plot the course to keep you running more, injured less, and to get the most out of this amazing sport. The engine is ticking, my selfie stick is ready, and I am on a mission to help you change the way that you run. First marathon. Changed my life forever. The start of the mission to help change the way people run. Aiming for a sub 3 hour time.